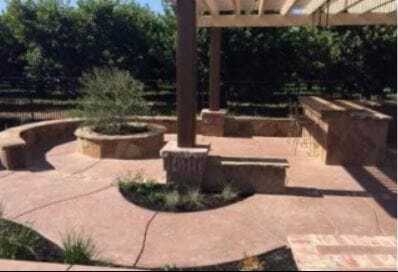 ​If your in Rocklin, CA call our best masonry/concrete contractors right now to set up an appointment for a free estimation walkthrough. You know who the best concrete/masonry company in Rocklin, CA is. For any of your desired property remodels, rehabs, rebuilds, reconstruction, installation, paving, resurfacing, pool deck repair, concrete layering, foundational work, etc. simply call us! Hello, and thank you for visiting our website! 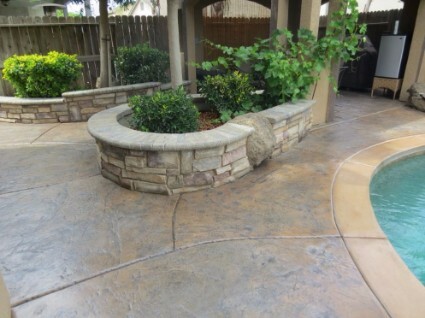 Rocklin Concrete/Masonry is committed to helping you with all your concrete-related needs. We’re a team of practical people who will walk you through any installation process, every step of the way. Whether it’s a driveway of stamped concrete or an outdoor fireplace, we’re committed to producing the best results for our customers, every time. ​When we say we can help with all your concrete-related needs, we mean it. Here’s a list of everything we can do for you. Our outdoor fireplaces, assembled by our quality teams of builders, will be your new favorite place on your property! The concrete stamping mats we use come in a variety of styles, and are molded from the materials they’re supposed to look like. We also provide coloring options and stacked stone options that’ll add to the realism of your fireplace. Do you want a fireplace that looks like authentic cobblestone or brick, without having to go through the hassle of using the actual material? If you use our services, the process will be quick and stress-free, and it won’t break the bank. We’ll make it look so natural that people will think it’s the real thing. A concrete driveway is a worthwhile investment. We can stamp the surface in the design you want, stain your driveway a variety of different colors to add character, install the joints in a decorative pattern, you name it. Ask us today about your driveway project, and learn about all the options we have for you! Life happens, and we’re sure you want to keep your driveway, floors, and patio looking good. Are you experiencing scaling, cracking or spalling? We provide concrete resurfacing (with or without stain), engraving, and sealing services. Our stamped concrete patios are sure to make your outdoor living area look gorgeous. Perfect for entertaining or just lounging around on a nice day, we’ll decorate your patio in the style of your home. Ask about our variety of stamping patterns and color options. We have flagstone, paver stone, and many others. Concrete pool decks are becoming more and more popular these days, and we install them with ease. They’re slip-resistant, colorful, and visually appealing – with stamping, we can make them look like virtually any material, even wood! And because our pool decks are concrete, they provide a beautiful pool area at a fraction of the cost. Take the plunge and choose concrete for your pool deck, and we’ll make sure you’re satisfied. Your kitchen countertops can be personalized and handcrafted by us, and we’re sure you’ll love the industrial modern look you’ll get as a result. This is also a great option if you want outdoor countertops – because concrete is so weather-resistant, it’ll withstand colder weather better than granite or tile. 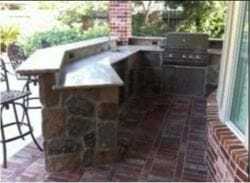 We also provide sealing services for outdoor countertops, to make them last that much longer. Ask about these supplies and services, and we’ll try our best to meet your needs. ​Here’s another trend popular with homeowners at the moment. We’re available to color your new concrete floor, add patterns, or saw-cut it if you wish. ​If you already have a concrete floor but want it to look more decorative, we can add polish, stain, and sealant to bring long-lasting beauty to your home. This is all for a price comparable to installing carpet, vinyl, or ceramic floors. And they’re very low-maintenance, too! Need a retaining wall for your garden? ​During the installation process, we give you the option of different decorative designs that replicate the look of masonry or stone work. They’re durable and functional too, just like a retaining wall should be. Whether you’ve moved to a new home and want to remove an old concrete patio or driveway, or your old driveway is too cracked and starting to settle, we can help. Ask us about removal services today and we’ll send a trustworthy team out to assess the situation. ​Outdoor kitchens were once uncommon but are now a growing trend, and we’ve got the team for all your outdoor entertaining needs. If you grill outside often, we’ll help you install a barbecue counter or full kitchen that’s functional and attractive at the same time. It’ll be sure to steal the spotlight as the new “room” of the house. Pavers are popular because they come ready to be installed, are easy to make plenty of patterns with, and don’t require grout application between the stones. Our pavers come in many different sizes, colors, and shapes to complement your outdoor patio and home exterior. Need a walkway built with pavers, and aren’t sure where to start? We’ll help guide you through the installation process. Worried about standing water? Permeable pavers are an option for you to purchase too; they allow water to drain through the cracks, perfect if you want a low-maintenance material that’s easy to repair. Here at Rocklin Concrete/Masonry, we strive for excellence in every job we’re hired for. Now that you’ve seen what we can do for you and learned more about why concrete is such a good choice for your home, we hope you’ll consider hiring us. Have more questions, comments, or concerns? Feel free to contact us using our contact information on this website.